ICAR-National Institute of Abiotic Stress Management (NIASM), Baramati is undertaking activities related to improved technology interventions in field crop, horticulture, livestock, poultry, fisheries and integrated farming in various villages of Navapur Tehsil in Nandurbar District for improving the livelihood of resource poor farmers as part of Tribal Sub-Plan (TSP). 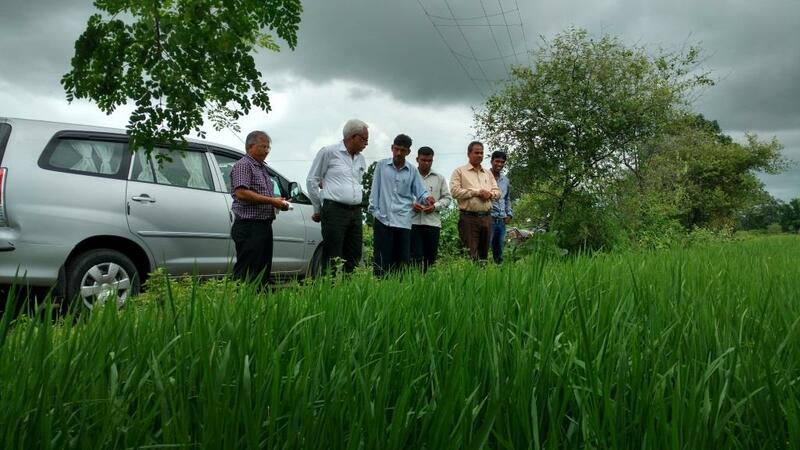 In this connection, recently Dr. N. P. Singh (Director, NIASM), Dr KK Krishnani (Chairman-TSP), TSP-members Dr NP Kurade, Dr DP Patel, Dr AV Nirmale and Dr Neeraj Kumar visited Navapur for reviewing on-going TSP activities. Training programme on “Nutritional management in livestock and fisheries for livelihood improvement of tribal farmers” were conducted at Visarwadi and Navapur on 17-18 September 2016. About 400 Farmers from various villages of Navapur (Nagzari, Waghalpada, Pimpran, Kolada, Savarat, Gadad, Jamtalav, Karanji, Bardipada, Chitavi, Deolipada, Vadsatra, Tilasar, Mahalkadu, Bharadu, Kanhala, Mugdhan, Pimpla, Karanjibk, Bokalzhar, Bhavare, Ampada, Rayngan, Bandharpada, Chauky) participated in training programmes. Dr. NP Singh, Director, NIASM, addressed the farmers about importance of complementary agribusiness enterprises like backyard poultry, livestock and fishery, besides doing the farming. 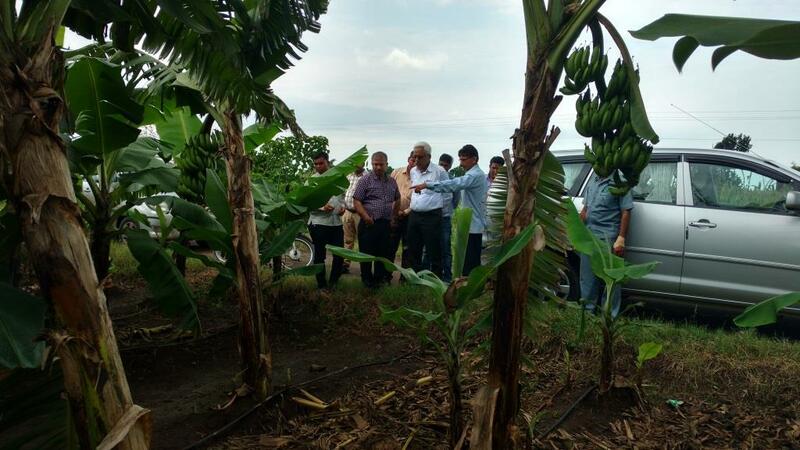 He also emphasized the need of proper marketing for improving their livelihood. He asked farmer to grow vegetables and fruits in the backyard of their house, supplementary to meet their daily requirement. During training, farmers were guided on “Parasitic diseases and deworming in livestock” by Dr. NP Kurade, “Nutritional Management in Livestock” by Dr AV Nirmale, “Fish Farming” by Dr. Neeraj Kumar, and “Integrated agri-aquaculture” by Dr. K.K Krishnani. 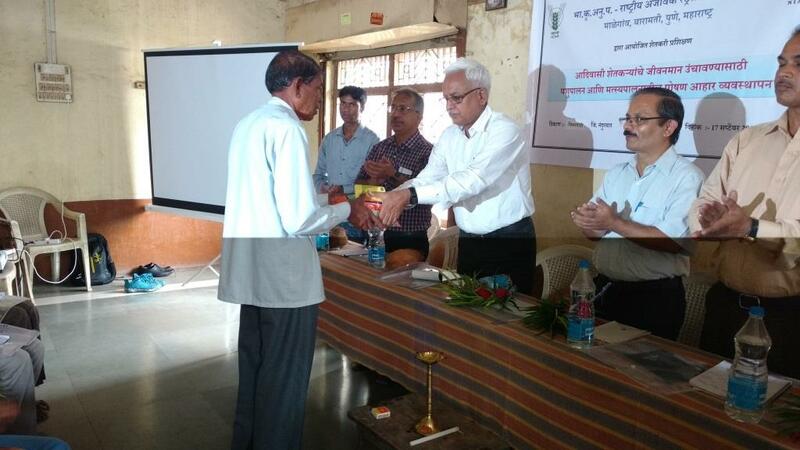 Thereafter, farmers participated in interactive session and expressed their happiness with the wide exposure received during the training programmes and huge beneficial impacts of ongoing TSP activities related to successful implementation of integrated farming and agri-aquaculture in the Navapur villages. A team of TSP implementation committee consisting of Dr NP Singh, Dr KK Krishnani and Dr NP Kurade also met Dr Heena Gavit, the Honourable Member of Parliament from Nandurbar Constituency, Dr Vijay Kumar Gavit, the Honourable Member of Legislative Assembly, and Dr Mallinath Kalshetty, Collector and Dist. Magistrate, Nandurbar, and briefed successful implementation of integrated farming in terms of field crops, horticulture, dairy, poultry and fish farming for livelihood improvement of tribal farmers of Nandurbar District and also discussed integrated culture based fisheries in small reservoirs and in floodplain wetlands and stock enhancement and cage culture in medium reservoirs.